Say what you want, but TMZ's sources are some of the most solid in the industry. 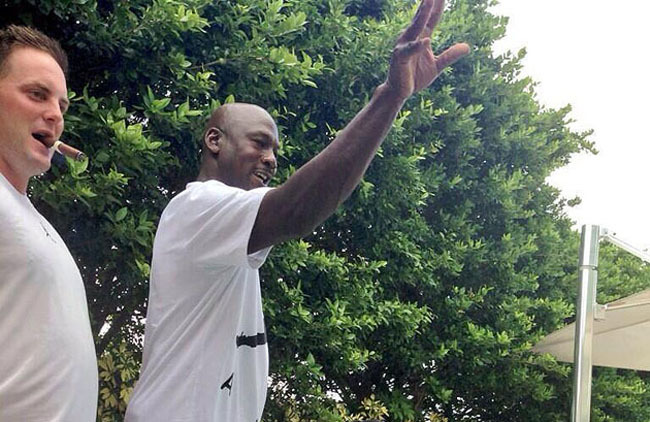 Last week, several outlets obtained photos of Michael Jordan playing beer pong at a Miami hotel (in the 'Concord' air Jordan 11 Low) — TMZ, however, has the video. The clip really amounts to a bunch of nothing, though it is amusing to see MJ casually kicking it at some frat party. Backing tracks provided by Kid Cudi and The Throne. Don't be that guy that makes it a point to emphasize 'Game 6' though — DON'T BE THAT GUY.